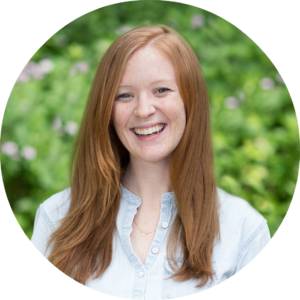 Monte Nido Eating Disorder Center of Philadelphia Primary Therapist Kate Funk, MS, MFT is a recovered clinician who believes activating one’s soul self is essential in healing. In this week’s blog post, Kate shares the importance of asking questions and seeking answers, instead of assuming you know the best way to support someone. I was out of the country recently and my boyfriend, Trevor, texted me requesting that I call his uncle. This has never happened before, so I was caught off guard, but quickly got a follow up text saying “I think I handled it”. Since I was away, I easily got distracted and forgot about it. When I got home from my trip, Trevor told me his uncle was going to a dinner party at a friend’s house whose daughter recently came home from treatment for Anorexia. He wanted some advice on what topics of discussion may make her uncomfortable and if he should mention her appearance or food. When he told me he handled it, I of course had to know what he told him. I was pleasantly surprised by the answer! When his uncle asked if he should mention her appearance or the food, Trevor encouraged him not to mention her appearance, because it might remind her of what she once looked like, and to not talk about the food since she could take his comments poorly. I have never felt more pride in all my life! My super rational, financial analyst boyfriend listens to all my rambling about eating disorders! I felt tears welling up in my eyes! This sweet moment reminded me how so few people really understand how challenging eating disorders are and just how powerful a simple question can be! Comments about food and appearance are standard and often mentioned by well-intentioned folks with varied interpretations and outcomes by sufferers. If you think about someone you know who is going through a rough time a completely acceptable and supportive comment is “you look great” or “have some dessert you deserve it”. However, someone with an eating disorder can interpret those innocent comments one hundred different ways, depending on the person. Not all interpretations are necessarily bad, which makes it even more challenging to decipher what is and isn’t helpful. It is such a personal experience for each person. For example, in my personal recovery journey I took any positive comments about my appearance to mean I had gained too much weight and everyone was trying to make me feel better. In contrast, some clients perceive positive comments about appearance to be motivating and encouraging in moving forward in recovery. If a support person assumed that saying “you look great” was helpful, it would affect each eating disordered individual completely differently. I think admitting that we do not know can be one of the more helpful things for supports and even providers to do. Whenever I meet a new client it’s easy to think I have a sense of what they’ve been through, but of course I don’t. We are all different and we all have different experiences and backgrounds. Assuming that I know what each client’s experience has been with their eating disorder is a step towards distancing myself from their reality and their truth. Asking questions builds understanding and connection. Although Trevor’s uncle didn’t ask his friend’s daughter what would be most helpful, he reached out to us and asked for support. He didn’t assume he knew what would be helpful, and he didn’t pretend he understood, instead he reached out! Asking for support is an imperative skill we teach our clients and it’s important to remember that as supports and providers we need to do the same!